You can play them for free. Invite your Facebook friends and ask them to play them with you. They also allow you to match your scores with your friends. Enjoy gaming while being active on Facebook. Facebook has undoubtedly become a one-stop destination for many people who want to spend some quality time while exploring their gaming fantasies to the fullest. Read the information given below and know what Facebook games are in huge demand these days. Casino and slots are known to be the most liked games on Facebook. Everyone has a dream of becoming a billionaire wants to play these top performing Facebook games. So, what are you waiting for? Let’s participate in these games and take a chance to earn lots of dollars shortly. You have to play against other players in a Live Tournamania in Slotomania. In order to win the game, it’s important for you to collect as many golds as you can. With more than 14,000,000 fans, the game has already made a huge fan base all over the world. Let’s play and know why a huge population of gamers are liking it so much. Angry Birds is played hugely on almost all the platforms. Its latest version “Friends” has also proved to be a big hit on Facebook since gamers are free to play this game with their friends and match their scores. If you have already liked the widely appreciated FarmVille game, you would surely enjoy playing FarmVille 2. Known as a sequel to FarmVille game, it features 3D graphics, new characters, more smooth run with some extra possibilities. Apart from its amazing features, there are many other things that make this game a preferred choice when it comes to looking for a pastime alternative on Facebook. Allowing you to create your own thriving farm will be a fun. You are also free to play with your friends and steal their stuff. This game is a hot topic among sports fans. There is a lot to be explored especially if you are a football game lover and want to become a real football manager. Get yourself involved in this game and have huge fun while creating your own virtual football club. One of the most addicted Facebook games, TOP Eleven Be A Football Manager allows you to compete with your friends and other gamers who are a part of championships, leagues and friendly matches. An exciting live bidding system gives you a chance to sell and buy your players while looking forward to train your team and handle finances. It already includes 10 million soccer managers worldwide. Come and become a member of the most-talked game! Developed by Texas HoldEm Poker is one of the most liked poker games on Facebook. The good thing about this game is anyone can play this game – whether you are a newbie or an experienced one. Remember you have to pay a considerable sum of money to buy that extra chips. It becomes easier now where you stand in recognizing the music with the SongPop game. A huge music database of 100,000 real songs is there to test your music recognition. Listen to music clips from them and guess the song. You can also ask your friends in case if you are not aware of a particular track. Check your favorite artists and choose their songs. Apart from this, you are also free to explore latest genres and find out the nostalgic classics. This multiplayer game allows you to play it with two people. Thus, discover the music lovers worldwide and get ready to compete with them. Another globally recognized Facebook game is Diamond Dash. 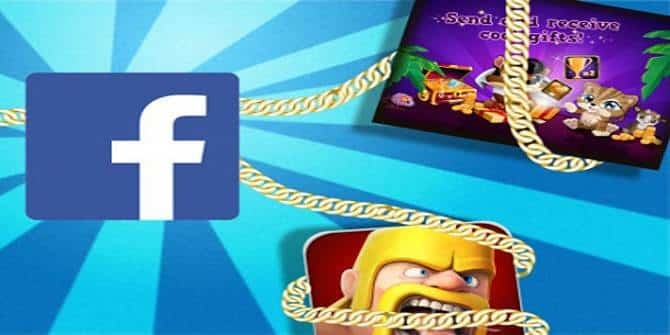 Referred to as the most addicted Facebook game, it allows you to win only if you are able to match as many diamonds as possible in a time span of 60 seconds. The easy-to-use interface and colorful graphics are the major USP of this game. In this highly addictive and funny super-quick game, you can compete with your friends and also match your score with them. The name of the most popular Facebook game itself defines what it is all about. In Pet City game, you as a player are allowed to carry pets, play with your friends’pets and arrange clothes for them. You also have to buy beautiful furniture to adorn your pet’s home. The clean attention to all details and amazing animations are two major things that this game is known for. On magical Islands, you would be allowed to breed your own dragons in this highly exciting Facebook game. You can choose your dragon from more than 500 dragons. What an excitement and fun will be when you get a chance to construct your own cities and fill them with dragons, buildings, habitats, and farms as well. Let’s ask your friends to show their dragons and get ready to have an interesting combat against their dragons. This would help you to determine who has the powerful team of dragons. It is a finest word-finding game that you can enjoy with your friends. All you need to do is find out all the possible words in the field in the given time frame – two minutes. The profile information includes all the achievements you have obtained while playing it. We know that different people have different tastes. So, we have left any trendy most popular Facebook Games, please mention its name in the comment box. Apps and Games 10 best facebook games, Best Facebook Games, Facebook Games, facebook online games, top facebook games. permalink.